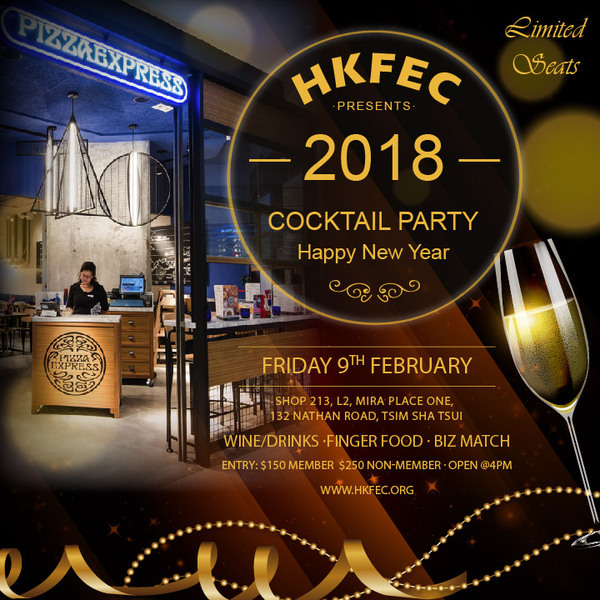 This Chinese New Year is approaching and HKFEC would like to organize a Chinese New Year gathering to bring all of us together and celebrate this festival! Pizza Express, Shop 213, L2, Mira Place One, Tsim Sha Tsui, Kowloon. The location offers a really proud of their pizzas and their love for music and art. In this enticing and stress-free environment, good talks are guaranteed, together with the chance to meet new people, connect and have a nice afternoon. Over 100 guests to came from major E-Commerce players and HK Government organizations last year, we truly look forward to receiving your valuable support.